No. 318 Squadron Picture Gallery. Part 5. 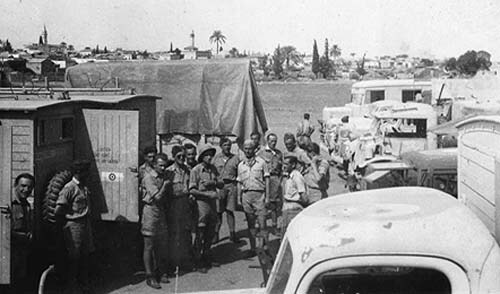 After arriving at Almaza, the unit received 57 pieces of motor transport and went to Muqueibila, near Nazareth. 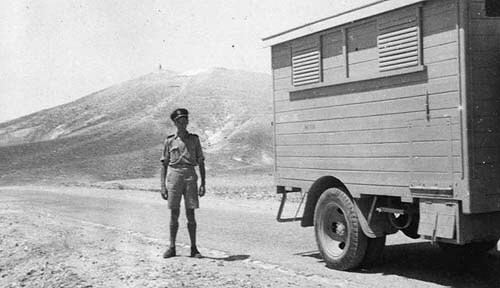 F/O J. Krzywonos posing by the Mount Tabor and his MSU (Mobile Signal Unit). S/Ldr Wielochowski reporting the squadron for duties. Receiving the report is Gen. Anders. 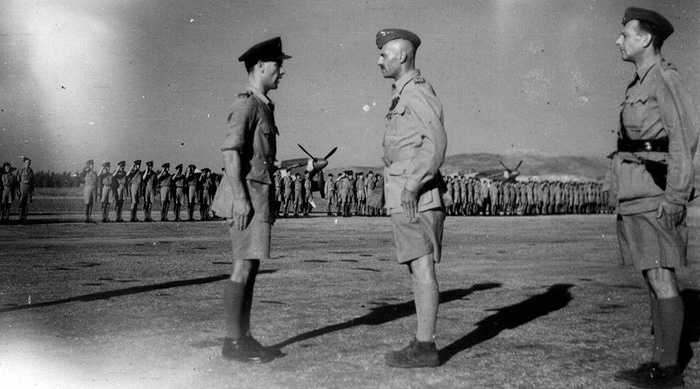 Unidentified Polish officer and J. Krzywonos at the Muquebila base. 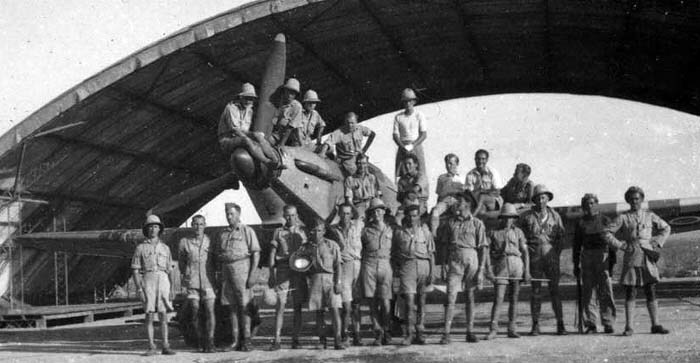 Some of the 318 ground personnel posing with what looks like members of other units stationed at the base. The oriental charm quickly turned into a nightmare. 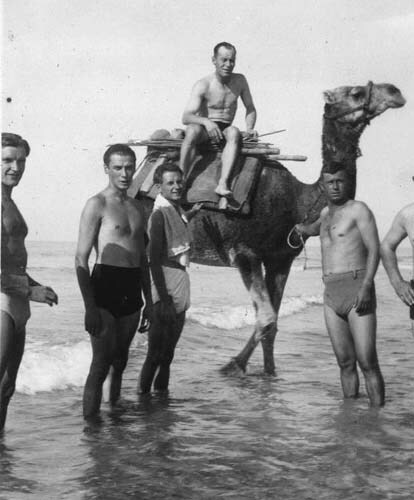 Scorching heat, scorpions, mosquitoes, malaria and less than basic living conditions, in no time made half of the personnel sick. Luckily, they soon went to Gaza. Gaza. 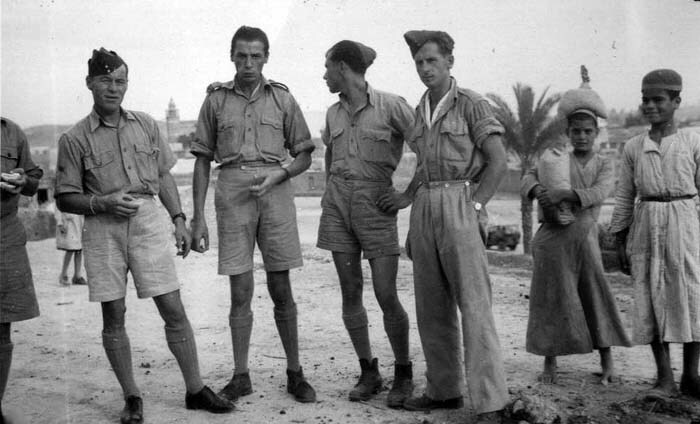 Most of Polish officers at this photograph are positively identified, but who those British officers are remains a question to be answered. 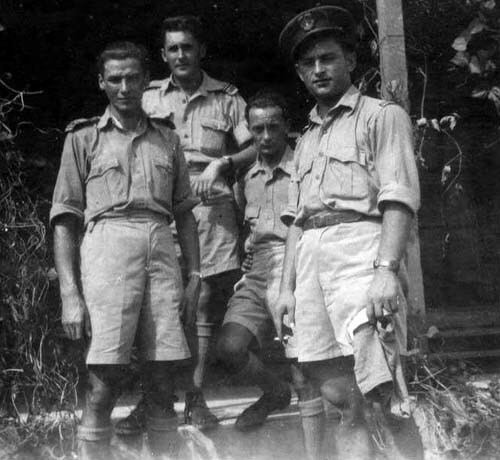 Mixed group of Polish and British officers in front of the officer's mess. Needs info. Same place. J. Krzywonos (left), F. Stutzman, J. Glowacki and S. Kon. 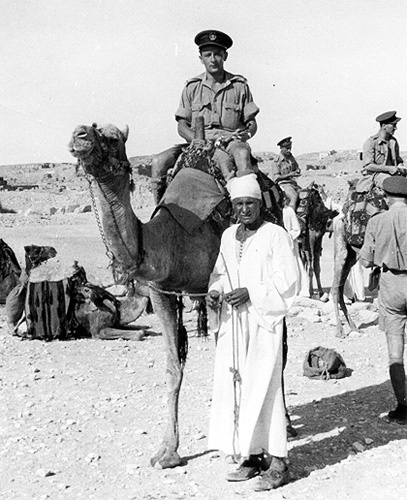 A little taste of Orient will no do without camel ride. Left: J.Glowacki. 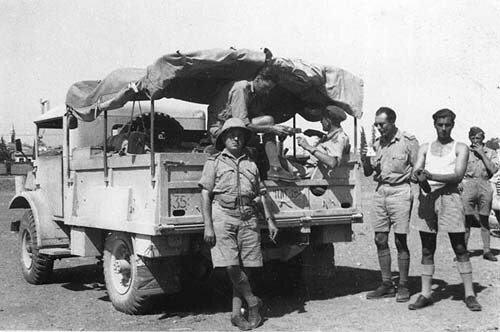 Right: members of the Signal Unit. 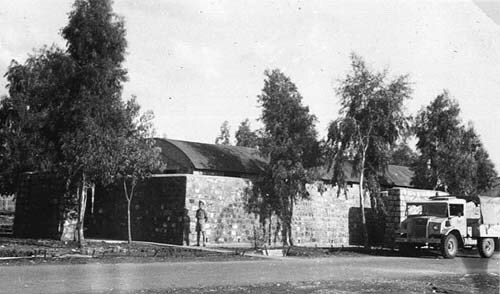 Some of the free time, the squadron's personnel spent visiting local attractions. Was eating bananas one of them?. 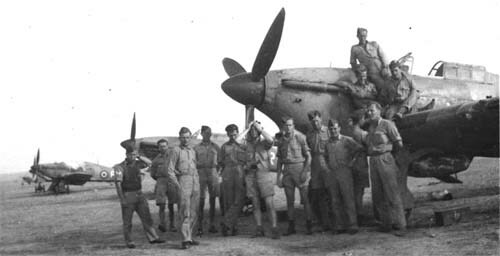 Above and below: 318's Hurricanes at the Wilhelma airfield, where the unit trained for week.